Disclaimer: This is a parody/inspirational work. 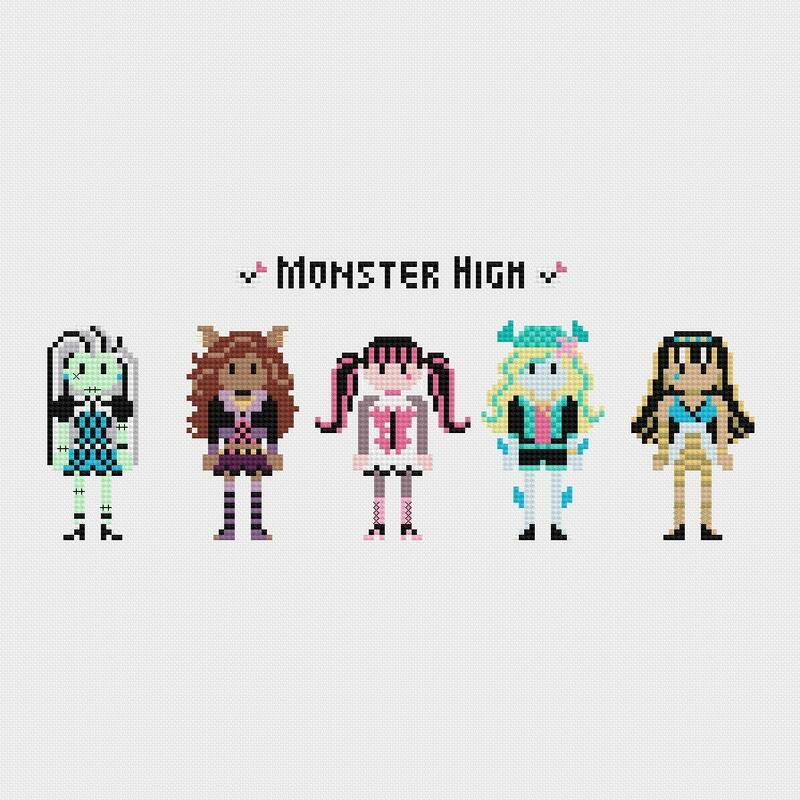 Monster High and its characters are registered trademarks of Mattel, Inc. This product is not sponsored, endorsed by, or affiliated with Mattel or any of its subsidiaries, affiliated companies, and/or third party licensors. Loved this pattern and the alternate cast pattern! I am in the process of finishing this pattern for my little sister for a Christmas gift. We grew up watching this show together & I think she will love it! Thank you for this. This pattern is so adorable. The pattern is a little hard to read when the person is split between 2 pages. Either having a person fit onto one page or having a little overlap showing so it was easier to follow when having to go back and forth. Just my suggestion. Otherwise, it is great and turned out awesome. Can't wait to give it to my friends to put in their Peanuts themed nursery.